The Greedy Pinstripes: Why is getting under the Luxury Tax threshold an issue? Why is getting under the Luxury Tax threshold an issue? While I was once big into the team's payroll I shied away from it the past couple of years. I just couldn't spend any more time thinking about money after years in which the team didn't seem to care about it at all. 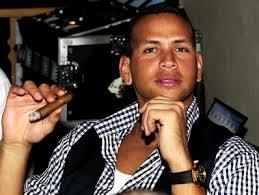 At least while the team still had large contracts such as those for Alex Rodriguez around. Sorry, Alex. No more Yankee money for you. Once the contracts for ARod and CC Sabathia finish up, to go along with the emergence of guys like Gary Sanchez, Aaron Judge, and Luis Severino, it seemed inevitable that the Yankees were going to get under the Luxury Tax threshold for 2018. With that, their luxury tax percentage would reset, allowing them to sign future free agents such as Bryce Harper, Manny Machado, or Clayton Kershaw without having to worry about the tax hit they would take. Earlier this season I was thinking about all of this and took a quick look to see if it would really happen. Hell, the Yankees have been talking about getting under the Luxury Tax threshold for years with no success. Would that change this time? Especially seeing as how the team is not at all in "rebuilding mode"? Note: I'm not good with projecting arbitration salaries, but I feel my numbers are not that far off. Before adding those numbers up there are a couple of more things to add. One is that the Yankees will still owe the Houston Astros $5.5 million as part of the trade that sent Brian McCann their way. The second thing is that the team payroll for luxury tax purposes is based on the 40-man roster, therefore you need to add about $9 million (assuming the final 15 spots are filled by players making the league minimum). Therefore, at this point, the Yankees are on the hook for around $137.9 million next season. I should note that any team will want to have some money set aside for mid-season pickups, which most often occur via trades (see the trade for Sonny Gray as an example). 1. How will the Yankees fill the last two starting spots? I believe one of them will be filled from within. One man that I can see getting the call is Chance Adams, who has started 21 games in AAA and ERA of 2.89. Or we could see Caleb Smith or Domingo German. Maybe even Domingo Acevedo. As for the other spot... more on that later. 2. Can Greg Bird stay healthy? I'm not ready to give up on Bird being able to stay healthy, but after missing all of 2016 and a large chunk of this season, I wouldn't feel totally comfortable relying on him to take over first base regularly next season. However, I can see him platooning with Garrett Cooper, which should help Greg stay healthy. 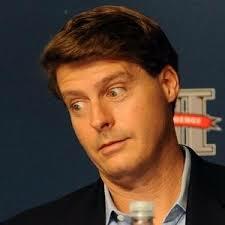 And don't forget that should Bird get injured, and Cooper can not be relied upon to play regularly, the Yankees could move Chase Headley to first base and call up Miguel Andujar to take over third. Not to mention that Ronald Torreyes did a good job filling in for Starlin Castro while he was on the DL this season. 3. Will the Yankees trade away Brett Gardner and/or Jacoby Ellsbury? This seems like a certainty... at least for one of those two. Clint Frazier is more than ready to play regularly, and to get that done I believe at least one of those two players needs to go. While I lean towards Gardner getting dealt, I can't say for sure as dealing away Ellsbury should be something the team really wants to get done, and doing that after his solid season in 2017 would probably be the best bet. A trade of Gardy or Ells would also open up more playing time for Aaron Hicks, who I believe deserves more than being a 4th outfielder. 4. Will Masahiro Tanaka opt-out? Remember how I left the first question? Yeah, this is where the rest of the answer to that question lies. This will probably be the biggest question the Yankees will face heading into the off-season. However, I don't think the answer will negatively effect the Yankees at all. Either 'Hiro (why am I the only person that calls him this?) opts out, leaving the team to find his replacement to go along with the aforementioned starter from the first question, or Tanaka stays and rounds out what would be a very nice starting rotation (Severino, Gray, Tanaka, Montgomery, and ?). No matter what, though, I believe the Yankees will spend big on Tanaka, or a free agent like Jake Arrieta or Yu Darvish (mind you, the free agents would likely cost more than the $22 million the team would have to pay Tanaka if he doesn't opt-out). That's right, Hal... somebody's getting paid. After the $9 million for the final 15 spots on the 40-man roster, that gives us a total of $165.6 million. If you want to figure $10 million for mid-season pickup money, that still leaves the Yankees with $21.4 million to spend on a possible regular DH. And that's without figuring in any savings the team would get should they trade away Gardner and/or Ellsbury (I assume their replacements on the roster would cost less, even if the Yankees picked up some of the remaining salaries). Honestly, I feel like I'm missing something, because every other writer doesn't see the Yankees getting under the Luxury Tax threshold next season as a certainty at all. Especially if they were to pay upwards of $27 million for a starting pitcher. So please go easy on me if I missed something. Otherwise, the future of the Yankees is looking better than I already thought it did.